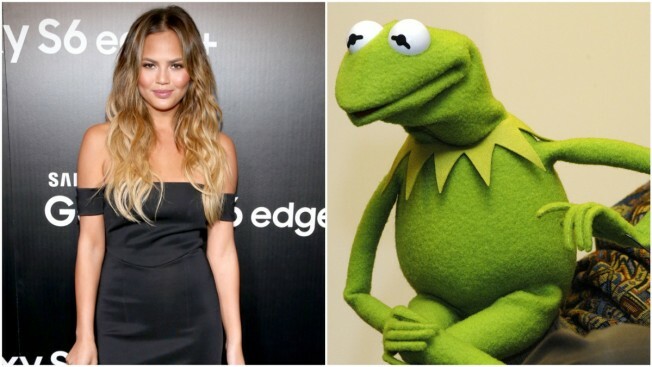 Chrissy Teigen picked the wrong frog to mess with. Chrissy Teigen has been in her fair share of Twitter tussles over the years, with trolls and Trumps alike. But on Thursday, after she posted what she assumed to be an innocuous tweet, a muppet put Teigen in her place. "What is a tattoo you wanted when you were younger but, thankfully, never got?" the social media star asked her 7.53 million followers. "mine is Kermit." It took a few hours for Kermit to respond, but it was so worth it. Needless to say, Twitter was shook. I'm dead. This is what Twitter was meant to do. Not launch nuclear wars!! It's some kind of day when following @KermitTheFrog is oh so satisfying.